"They don't normally does this?!" They're back! Don't feed them after midnight, don't let them get wet, you know the rules. While we wait patiently for the long-awaited official Gremlins reboot, or sequel, or whatever it is they're working on, we have this awesome fan film to keep Gremlins fans happy. 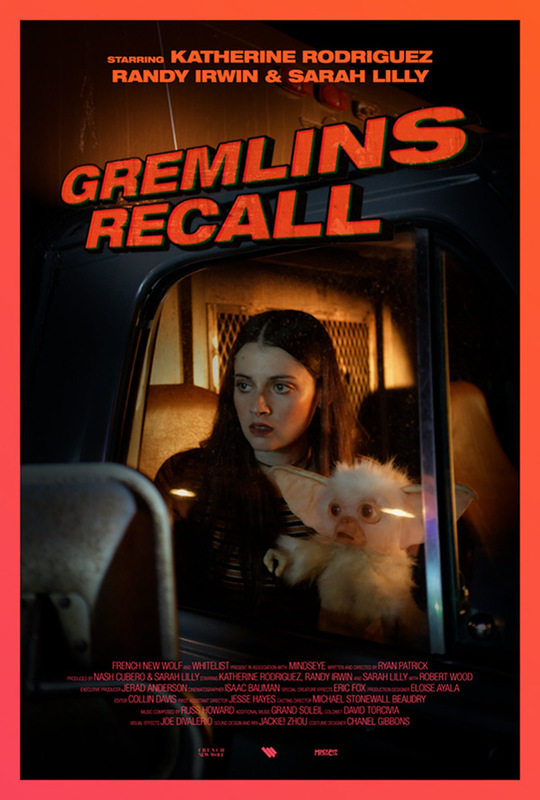 Gremlins: Recall is a fan film made by filmmaker Ryan Patrick and a whole bunch of his Gremlins-loving friends. This is a seriously impressive fan film, with excellent production value and sleek cinematography, not to mention a good soundtrack (which you can download here). I love the way this opens with the infomercial, it's kind of deceptive at first, but plays right into the story. And now I really would like another official Gremlins movie. Here's the behind-the-scenes video for Gremlins: Recall featuring "some moments from our smartphones." Thanks to Short of the Week for the tip on this. Original description from Vimeo: "Gremlins: Recall is a fan film. We made it for fun, so don't sue us." Gremlins: Recall is both written and directed by Ryan Patrick (visit his website). He explains: "I had the idea to make a Gremlins fan film for a while now. I always wanted it to be a touch campy, a touch b-movie in feel. It's a careful balance, because you don’t want to just make a 'bad' movie. The original Gremlins is a classic, but it was a constant discussion of how do we update the tone and feel of the movie while (hopefully) doing the original some justice." Starring Katherine Rodriguez, Randy Irwin, Sarah Lilly, and Robert Wood. For more info, visit Vimeo. To see more shorts, click here.